Hikers beware on your next walk in the Quinault Rain Forest. There are Pokemon (pocket monsters) lurking around every old growth tree. Please be advised to enter the forest at your own risk! The Olympic Mountains are swarming with these mystical creatures. Ok, ok, but seriously! This game has a secondary purpose to encourage players to walk to play. Tho ment for city play, you can find Pokemon on select trails; if you are in a location with cell service. Where Did I Find Pokemon? I found these monsters on the Olympic Peninsula, on a trail called Quinault Rain Forest Nature Trail #855 inside the Olympic National Forest. It's a beautiful hike, so bring your kids and enjoy the adventure! Need help? Check out information on the National Forest. 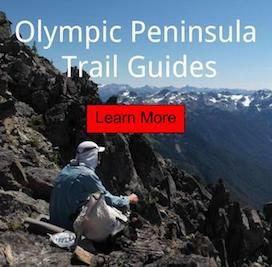 What About in Olympic National Park? Pokemon have also been spotted in rare locations inside the Park boundaries with cell service. Make sure you treat these monsters like any other wild animal and do not approach them! Remember: Always bring the 10 Essintials when you head outdoors and this is a perfect time to teach your family Leave No Trace Principles.